Video courtesy of the Community Collaborative Rain, Hail and Snow Network in Colorado (CoCoRaHS) www.cocorahs.org. A watershed is the area of land that drains into a body of water, like a river, pond, harbor or lake. 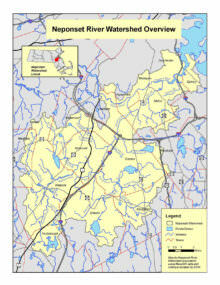 The Neponset River Watershed includes roughly 130 square miles of land southwest of Boston. All of this land drains into the Neponset River, and ultimately into Boston Harbor. The 30 mile long Neponset River starts in Foxborough, near Gillette Stadium, and ends in Dorchester/Quincy, near the “Rainbow Swash” gas tank by I-93. 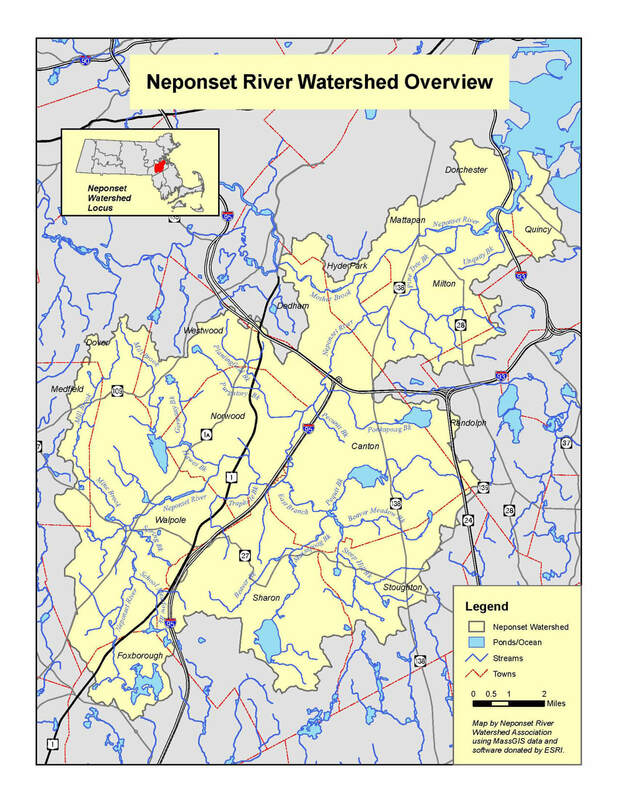 Over 330,000 people currently live in the Neponset Watershed and more than 120,000 get their drinking water from within the boundaries. Cities and towns include: Boston (Dorchester, Hyde Park, Mattapan), Canton, Dedham, Dover, Foxborough, Medfield, Milton, Norwood, Quincy, Randolph, Sharon, Stoughton, Walpole and Westwood. Its history includes 10,000 years of human habitation and over 375 years of industrialization. Click on map for a larger view.